Fabiola Francisque began writing in 2010 for various websites. She is a healthy lifestyles director, Aerobics and Fitness Association of America certification examiner and personal trainer/group exercise instructor in New York City. Francisque holds a Bachelor of Arts in psychology from New York University and a Master of Science in health science and exercise physiology from Long Island University. Feeling healthy and strong starts on the inside. This feeling can be achieved through healthy cleansing, also known as detoxification. Detoxification helps you remove toxic substances from your body, in turn strengthening the body itself. Some of the body's main detoxification organs include the kidneys, skin and liver. 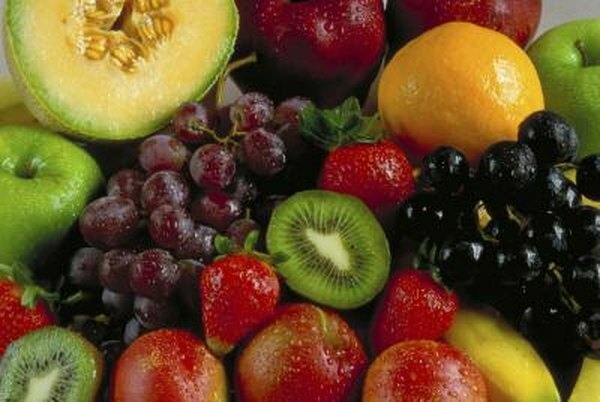 One form of cleansing is through a diet of fruit and vegetables. This food group is beneficial as it is low in calories and high in nutrients and fiber. According to the American Council on Exercise, "Research has shown that people who eat more fruits and vegetables have a lower risk of diseases like stroke, cardiovascular disease, type 2 diabetes, certain cancers and coronary heart disease. Fruits and vegetables should be an integral part of a weight-control diet, a training diet and an everyday diet." Before starting a cleanse, identify the fruits and vegetables that will benefit your body the most. Papayas contain an enzyme called papain which helps digest proteins. It helps maintain digestive health and maximizes the utilization of proteins during the cleansing period. Papayas are dense in nutrients and fiber, which make them an important part of a cleansing diet. Some other fruits that are helpful during cleansing include pineapple, pomegranate and blackberries, as they help kill intestinal parasites. Cruciferous vegetables such as broccoli, cabbage and cauliflower also help eliminate toxins from the body. Juicing is a great way to consume the fruit and vegetables you need for cleansing. Juicing diets consist of drinking freshly blended fruit and vegetables in order to cleanse the internal organs and cells, resulting in weight loss. Since you will be drinking juice as opposed to eating solid meals, you may feel more hungry throughout the course of the day. Drink a variety of fruits and vegetables every two to three hours in order to combat hunger and retain energy. According to MayoClinic, most detox diets last seven to 10 days. A typical fruit and vegetable cleansing diet should be followed for a short period of time. The body needs a variety of nutrients in order to remain healthy, allowing the body to function at its best. Proteins such as chicken and fish, and good fats like avocado should be included in your regular diet as they help build muscles and provide energy for daily living activities. Some benefits of fruit and vegetable cleansing include daily bowel movements, as these whole foods provide fiber that help you stay regular. Cleansing can also help increase energy, combat fatigue and remove excess waste from the colon, in turn resulting in weight loss. Excess toxins can cause acne and cleansing helps open pores resulting in healthier, clear skin. Removing certain foods from your diet for an extended period of time can result in low blood-sugar levels, dehydration, fatigue, dizziness and nausea. Remember that pregnant women and young children should not begin a fruit and vegetable-only cleanse until consulting with a doctor. According to Harvard Medical School, the diet is lacking in protein, fatty acids and other essential nutrients" Current mothers and mothers-to-be need these essential nutrients for their growing babies and young children, as they are an important part of their developmental process.